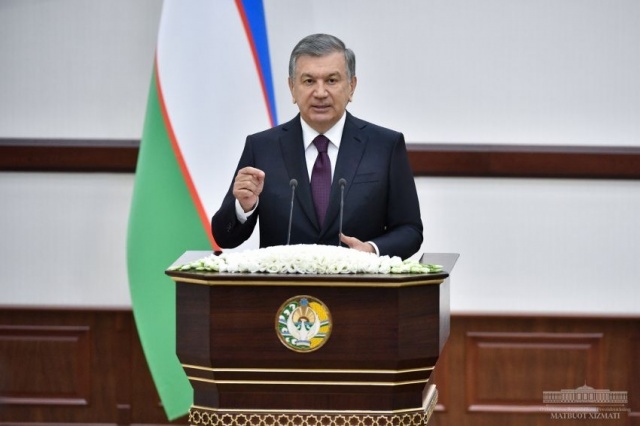 President Shavkat Mirziyoyev, at the meeting underway in Bukhara region, raised this issue in particular and outlined corresponding objectives. The Head of the state stressed the need to build modern hotels and improve the tourist infrastructure in general. Works are also in progress to repair the 122-kilometer Gijduvan – Kagan road, to establish modern and comfortable transportation among the mausoleums of Seven Pirs, and extensively introduce the international standard Halal. Shavkat Mirziyoyev pointed to the need to turn Bukhara into a “tourist crossroads” by boosting the number of flights and the frequency of trains and buses running from Samarkand, Khiva and Shakhrisabz. Meanwhile, the Head of the state gave instructions to build a museum of Bukhara history, entertainment facilities, handicraft centers, and organize pedestrian zones in the old part of Bukhara.